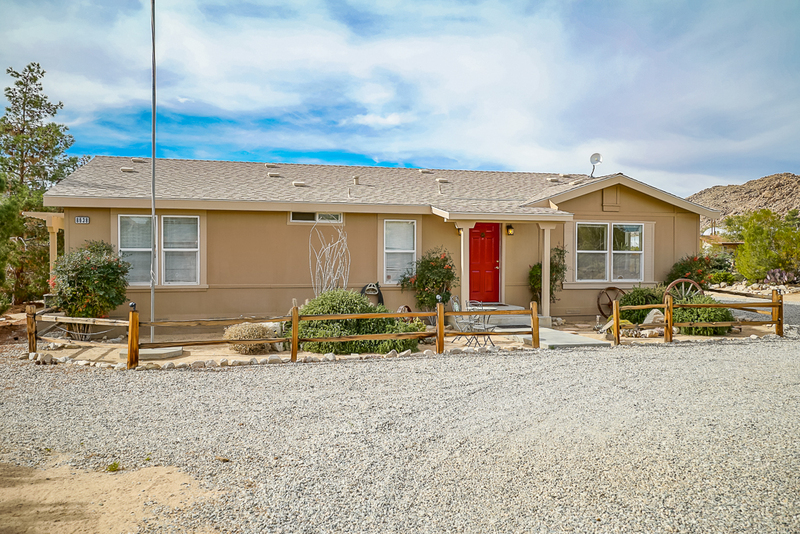 Sprawling single story ranch-style home in Monument Manor with sweeping views of Joshua Tree. Nestled onto a 2.5 acre lot with mature native landscaping, this 2000 square foot home is tastefully upgraded throughout. 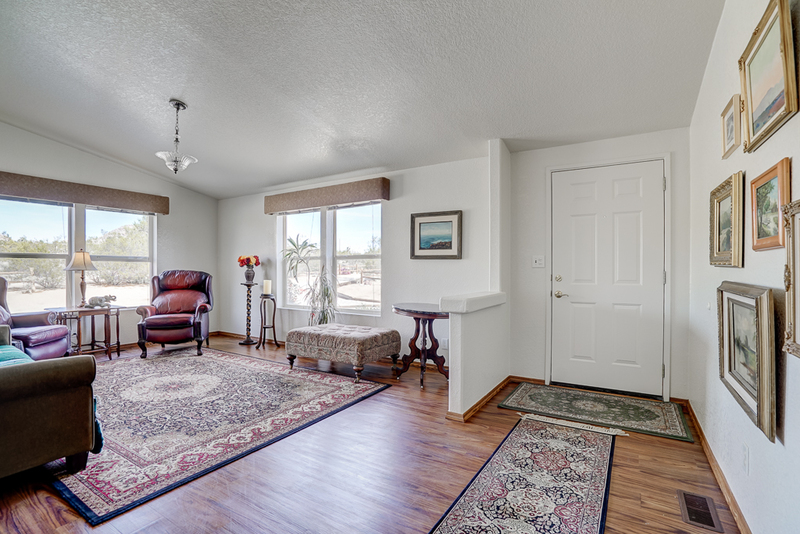 The quaint porch entry opens to a spacious living room that boasts vaulted ceilings and numerous windows that provide abundant natural light and views of the surrounding desert. 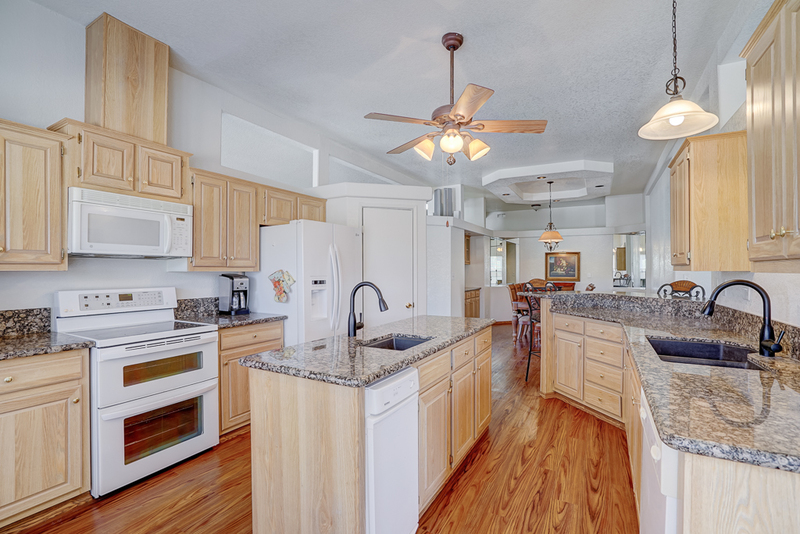 A gourmet kitchen centrally located in the common areas features granite counter tops, a center island w/built in sink, walk in pantry, and bar height breakfast bar. 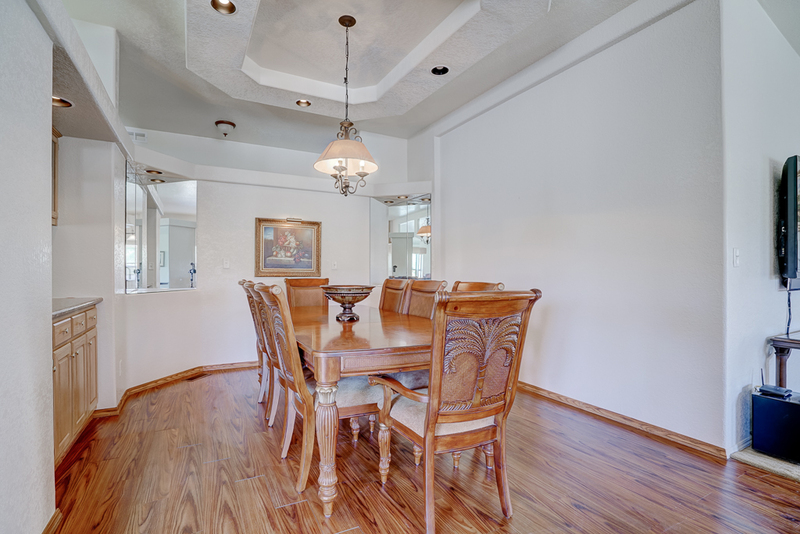 The family room with built in fireplace opens to expansive views of the desert from the rear patio. 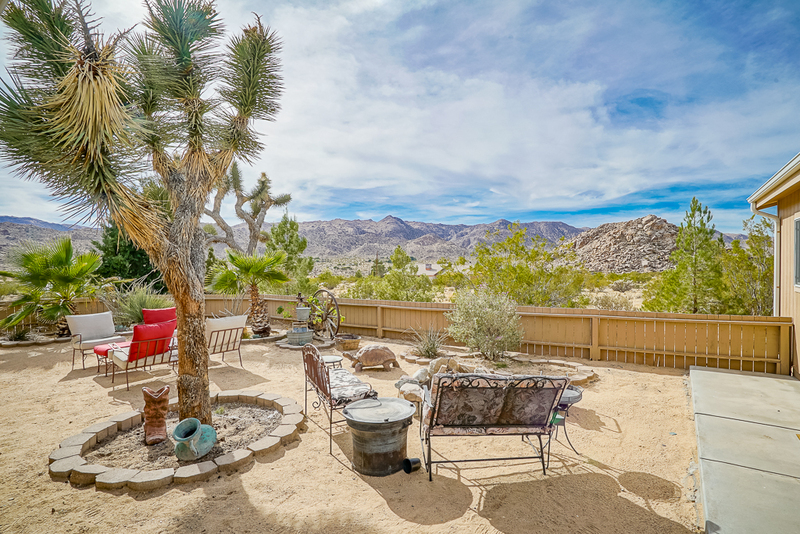 Various inviting garden vignettes surround the rear patio and offer comfortable spaces to enjoy sweeping views of Joshua Tree. A sleeping room is also integrated into the rear patio offering guests a secure place to sleep while still enjoying the desert landscape. Just minutes from the Park entrance and local amenities.